The Olive Wood Folder from Buck N Bear Knives offers a sleek, collectible design with impressive custom details. 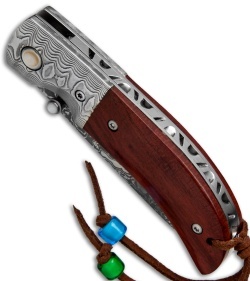 It has an olive wood handle with damascus bolsters and a mother of pearl pivot. A decorated steel backspacer solidifies the beautiful design. 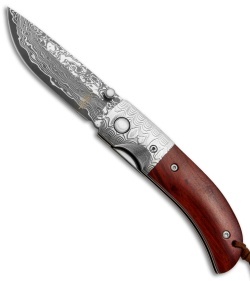 The blade is made from VG-10 core damascus steel with a mother of pearl inlayed thumb stud. 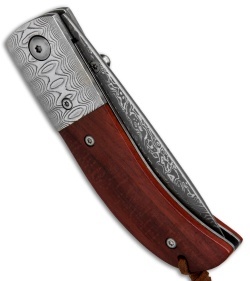 Item includes a fine leather pocket sheath for everyday carry.